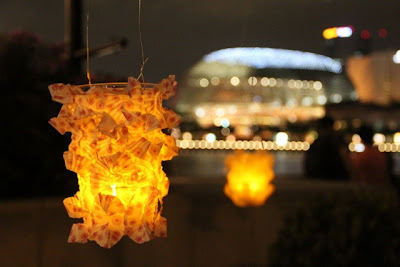 A friend of ours posted suggestions on what to do during the long weekend on her Facebook page, and this event was one of them, so we decided to head on down to the Merlion Park to have a look. 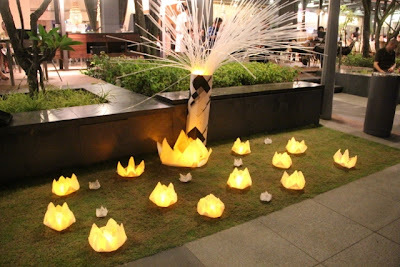 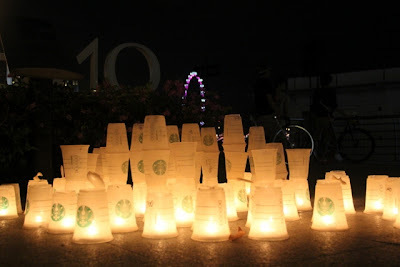 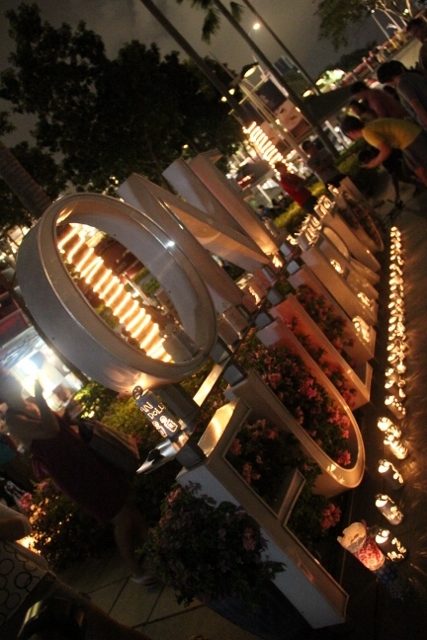 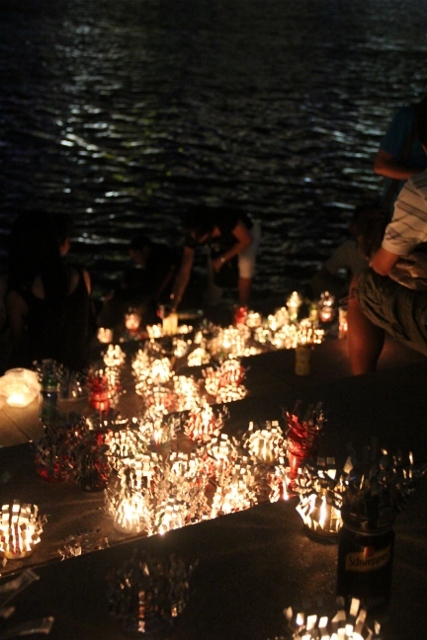 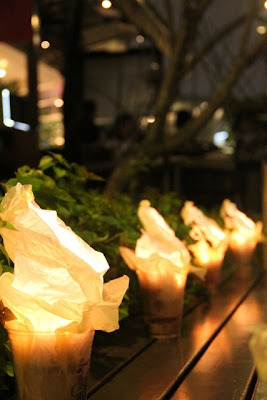 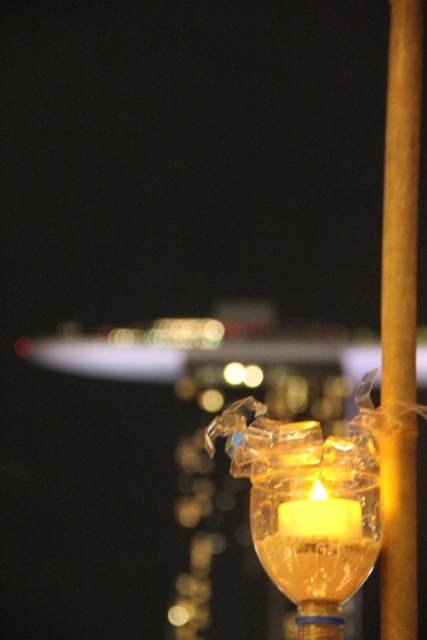 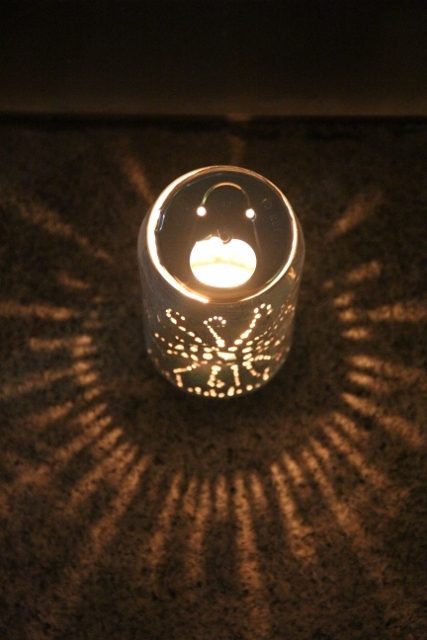 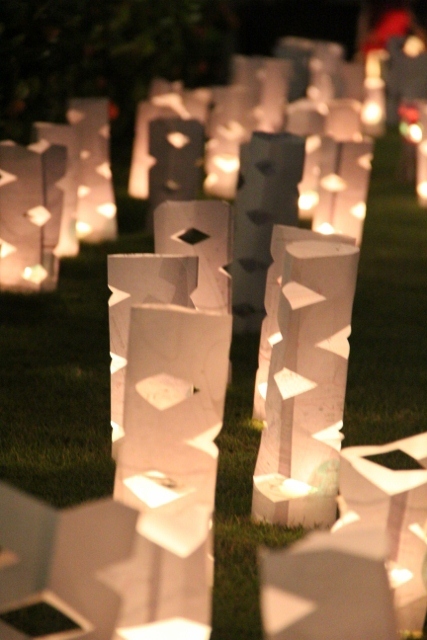 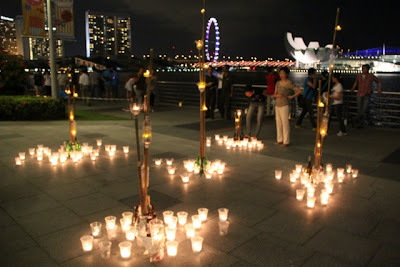 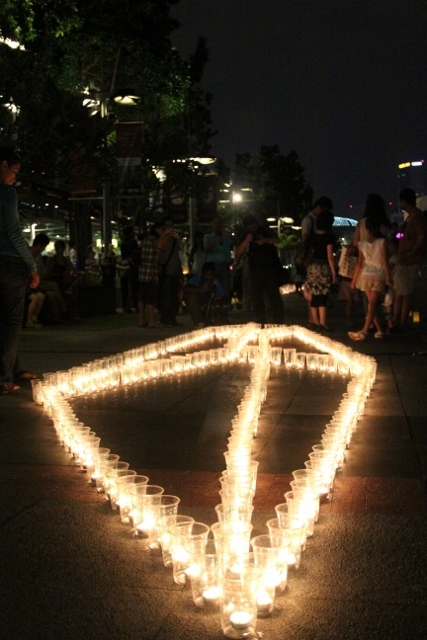 This is the second annual Candle Night @ Marina Bay. 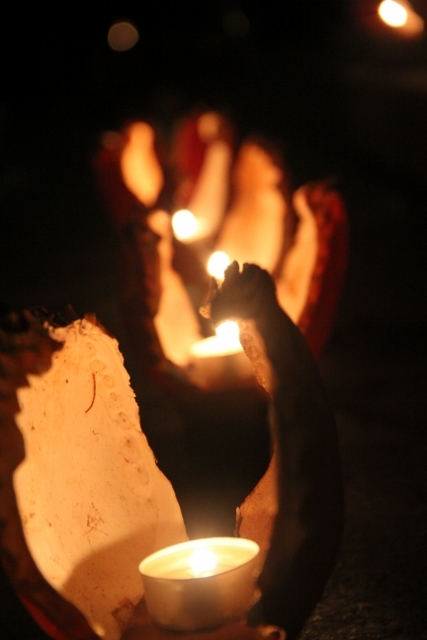 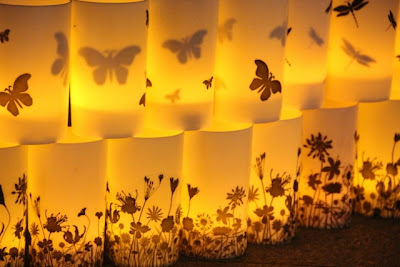 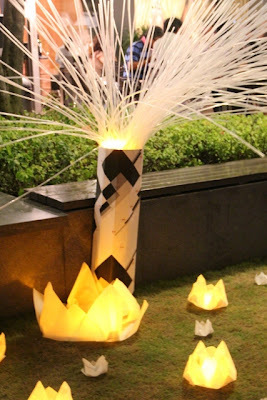 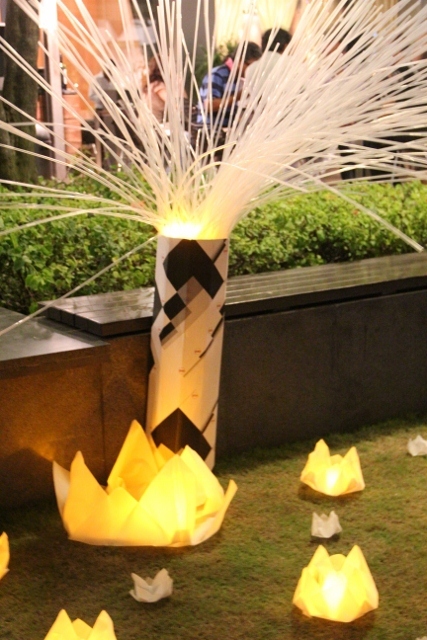 As you can see from the photos, there were a variety of candles made from recyclable materials such as paper, plastic cups, and even crab shells.